PLC Law Firm was born out of our partner’s Humberto Rossetti Portela and Júlio de Carvalho Paula Lima desire to develop a differentiated work, taking the focus out of the office and into the clients and their businesses. Joined by the founding stakeholders, were Milton Eduardo Colen and Igor Goes Lobato. We would like to thank our employees and partners who are the real people responsible for the ongoing evolution of PLC Law Firm. We thank our clients for opening their doors to us, sharing their projects and dreams, and trusting the power of our work. 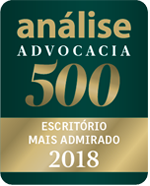 We are proud to be recognized as a law firm with extensive performance and real desire for growth, never losing its essence: to serve the clients and to contribute so they can always reach their goals. Copyright © 2015. Site developed by ACT Comunicação.